The FAA has just released Aircraft Noise and Performance (ANP) data for the Gulfstream G650 formatted for use in AEDT version 2d. * The documentation with the release includes instructions on how to use these new data both technically within AEDT and for approval and documentation compliance with FAA reviewed projects. Although some G650 data were included with AEDT 2d in September 2017, the aircraft noise performance data used the Gulfstream GV as a substitution. I did a little research to find out what actual aircraft and aircraft operations would be represented by this new ANP update. First, these ANP data apply to both G650 and the G650ER. 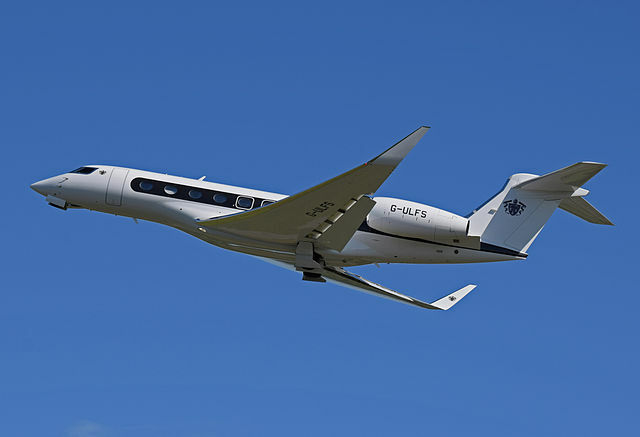 * The G650 has a maximum takeoff weight (MTOW) of 99,600 lb (or for those using the metric system, a maximum mass of 45,177 kg) while the G650ER is an extended range version with a MTOW of 103,600 lb (46,992 kg). * The ANP data includes departure profiles for ten different aircraft weights. Eight of the departure profiles represent weights below 99,600 lb and therefore could apply to the G650, while all ten weights could apply to various missions of the G650ER. Second, this aircraft is listed with several names and designators, depending on the documentation. Some of these names are listed below. Finally, as of July 31, 2018, the FAA aircraft registry listed fifty U.S. registration numbers assigned to the manufacturer. All fifty of these registration numbers are associated with a Gulfstream assigned serial number but have not received their airworthiness certificate and are presumably in various states of production or are test aircraft. * This indicates this aircraft type will have a steady production run and likely increased operations in the near future.